OBI supports the dissemination of strategies shown to support vaginal births and safely reduce cesarean delivery rates for low-risk births. This page is for our OBI hospitals to share their best practices, tools, and resources. Tools will be categorized and credit will be given to the hospital that created and shared it. Hospital admission during latent labor, when cervical dilation occurs much more slowly compared to active labor, is a risk factor for labor arrest disorders, which are in turn the most often cited indications for primary cesarean delivery. Intervention in this early stage of labor alters the course of labor such that spontaneous progression of labor does not occur and labor arrest disorders are more common. To address this, OBI has developed a simple checklist (Option A) to delay admission until active labor when women are at “low risk” for cesarean delivery and their history and fetal testing suggest that such an approach is safe. 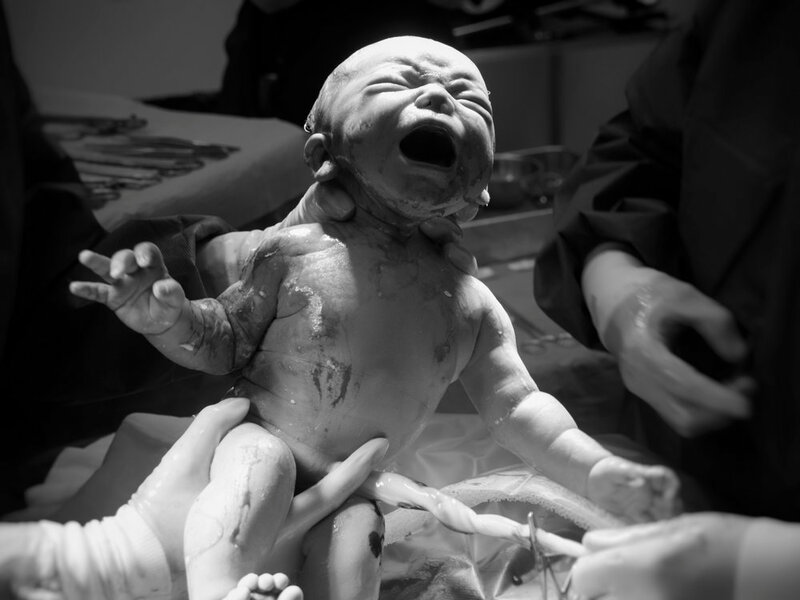 The OBI Promoting Spontaneous Progress in Labor Bundle (Option B) is adapted from the American College of Nurse-Midwives Healthy Birth Initiatives Reducing Primary Cesareans Bundle: Promoting Spontaneous Progress in Labor. The OBI Promoting Spontaneous Progress in Labor Bundle is focused on implementing approaches that support spontaneous progress of labor during the first stage of labor. The ‘mini bundle’ is tailored to labor progress and identification of labor abnormalities. This bundle is in direct alignment with the national AIM Safe Reduction of Primary Cesarean Birth bundle. Megan Danielson, CNM implemented the Labor Partnership at Bronson Women's Service in Kalamazoo. She edited CMQCC's birth plan to create the Labor Partnership document. DeBaet's article (DeBaets, A. (2017). From birth plan to birth partnership: enhancing communication in childbirth. American Journal of Obstetrics and Gynecology, 216(1), pp.31.e1-31.e4.) about moving "from birth plan to birth partnership" also inspired her. In addition, they used these shared decision-making tools from ACNM's Share with Women and administered this follow up patient survey. This Labor Partnership document is regularly used in their midwifery practice. OBI liked Megan Danielson’s Labor Partnership that we added: questions to ask during prenatal care visits, additional preference sections, and a disclaimer section to the OBI Labor Partnership document. OBI Co-Director and Michigan Medicine OBI Clinical Lead, Elizabeth Langen has championed the use of this document at Michigan Medicine. This is the Labor and Birth Preferences form and Triage Algorithm that Metro Health uses. They used the CMQCC examples and "Metro-nized" them. Beaumont Royal Oak's Cesarean Review Form used by the Cesarean Delivery Review Committee. WHEN IS HOSPITAL ADMISSION RECOMMENDED? OBI developed a Word document as a shared decision making tool to prepare women when is the right time to come into the hospital by engaging them in the discussion about active labor, what to expect, and when admission is recommended. The Dial-a-Doula program provides free birth doula services to families delivering at the Michigan Medicine Von Voigtlander Women’s Hospital in Ann Arbor, Michigan. Similar to Doulas Care, this program connects DONA-trained birth doulas with families needing extra support during labor and/or delivery. Bronson Methodist Hospital uses a Doula Agreement when any of their patients admit with their own doula. It has helped them to clarify roles, teamwork, and clear communication. St. Joseph Mercy Ann Arbor Hospital created the Pathways to Motherhood Parent Guide that provides parents with information from early pregnancy through the first few weeks home with baby. It is set up to follow the mother as she goes through her prenatal appointments, routine tests, labor, delivery, feeding baby, and much more, all the way to the baby’s care with their own doctor. This document eliminates paperwork and multiple handouts antenatally as well as postpartum. Information is provided ahead of time for they are informed and prepared for labor and delivery as well as bringing their baby home. Dr. Gayle Moyer and Ruby Shapiro presented their book at the November 2018 OBI SemiAnnual Meeting. Beaumont created a free patient video series for patients to learn about different comfort techniques and positions for labor and delivery. 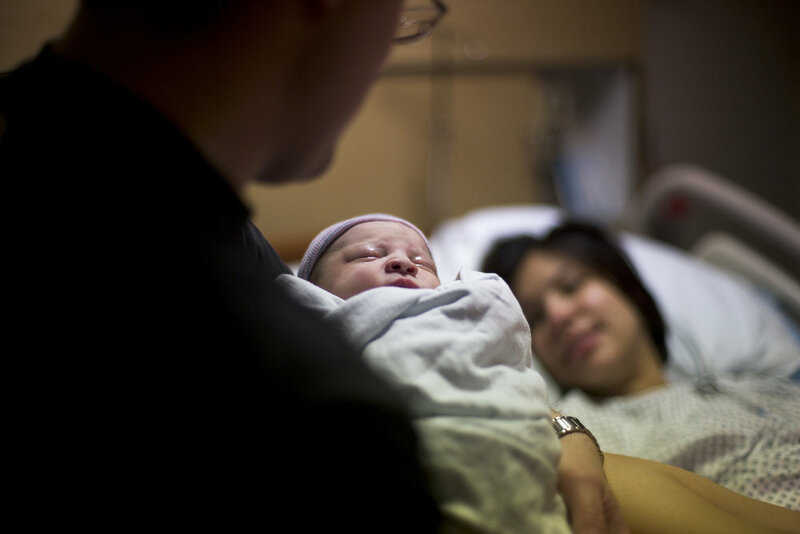 These videos will help patients and their support person better understand how labor works, and what they can do to make it a more comfortable experience on their special day. These posters share the benefits of waiting for labor to begin for both mom and baby. References coming soon. Current research increasingly reinforces the practice of an array of non-pharmacologic support strategies (i.e. freedom of movement, position changes, hydrotherapy, etc.) and techniques (massage, hydration, nutrition and breath work) to promote the normal, hormonal physiologic process of labor and birth. Current evidence indicates labor support strategies enhance both labor progress and comfort for the laboring person, to minimize the need for medical interventions, to decrease the primary cesarean birth rate, to improve satisfaction with birth experience and to optimize healthy maternal and fetal outcomes with no adverse effects. Trinity Health developed Labor Support Guidelines in support of these efforts.